You can select or change your design color by clicking on one of the square boxes above. Note: The color you select will change the color of the design display above. Note: When you select your font and font color the design display will not change. 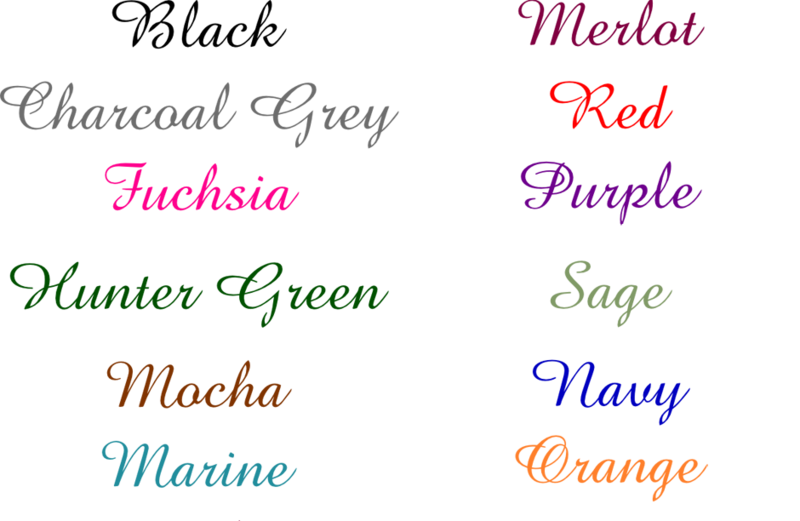 You will be able to see the font and font color on the proof we will be sending you after you place your order.